Noah Grow is a bird-watcher. If you're picturing some kid in a big floppy hat, peering up into trees through giant binoculars . . . well, good job. That's exactly what he does. Right now, Noah is on a quest to find a wood duck. According to his calculations, aka the Drake Equation, the odds are good-really good-for spotting one. That's why he gets off the bus at the wrong stop. And that's how he ends up running down a hill, crashing into a fence, and landing right next to a strange, glittery disc. Noah and his best friends, Jason and Jenny, soon discover that the mysterious disc is, well, mysterious. It gives Noah peculiar powers. As things go from odd to outrageous, Noah is swept up in a storm of intergalactic intrigue and middle-school mayhem. There's much more at stake than Noah realizes. Bart King is the author of twelve nonfiction books for kids including The Big Book of Boy Stuff, an Amazon #1 bestselling children's book. 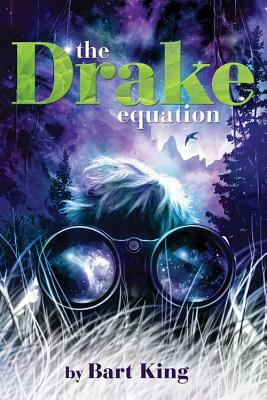 The Drake Equation is his first novel. Bart lives in Portland, Oregon.